The season of haunting and spooky decor is upon us and plans for Halloween are starting to come together. Make this Halloween one to remember by throwing an epic Halloween party for kids and adults with inspiration from these ideas! 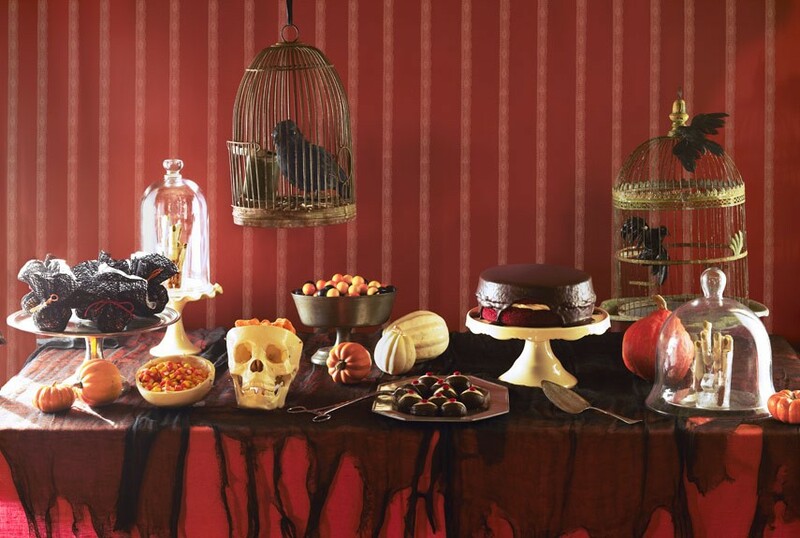 A traditional Halloween party has standard foods and the same old orange and black decor. Make your party stand out from all the others by choosing a specific Halloween theme. Whether you turn your home into a haunted house and ask guests to come dressed as the Addams Family, or you transform the party room into Area 51 (complete with little green men), breaking away from the traditional orange and black theme of Halloween will make your party more fun and engaging for all ages. Traditional party games are fun, regardless of your age, and they can be an excellent way to keep kids and adults occupied for the duration of the party. Games like ring toss, pin the nose on the pumpkin, and donut eating contests are only a few examples of family friendly games you can play. Catering to both adults and children is simple if you serve a variety of different foods. For simplicity, set up a buffet so that all of your guests have the option of customizing their meal. Choose foods that are kid-friendly as well as adult friendly, and add an extra touch by making some of the food a part of your theme. Having a buffet table also provides extra space to add to your decor, enhancing your party theme. Organization is an essential part of throwing a successful Halloween party that involves children and adults alike. Sticking to a strict schedule will not only keep guests entertained, it will also ensure that everything goes as planned, without chaos erupting. For children, a schedule keeps them from straying away from the party, and for adults, it allows them to easily supervise their children in one place. If you are worried about keeping track of time set a timer for each game and event and, when the timer goes off, move to the next one. Overall, a schedule is beneficial to everyone, allowing your party to be successful and keeping it from dragging on. Halloween provides the perfect excuse for both children and adults to dress up so, for your party, encourage everyone to wear a costume. For a little extra motivation, you can offer a prize for the best costume or pass out small prizes to everyone who wears one. Encouraging costumes at the party will not only make it more fun, it will add to the atmosphere and excitement that comes with the holiday. Throwing a party for adults and children is simple if you put careful thought into the food, games, and theme. Keeping a schedule will keep the party going, while offering a buffet will avoid any situations with picky eaters or allergies. If you follow these tips, you should be able to throw an epic Halloween party for children and adults that will be remembered for a long time! 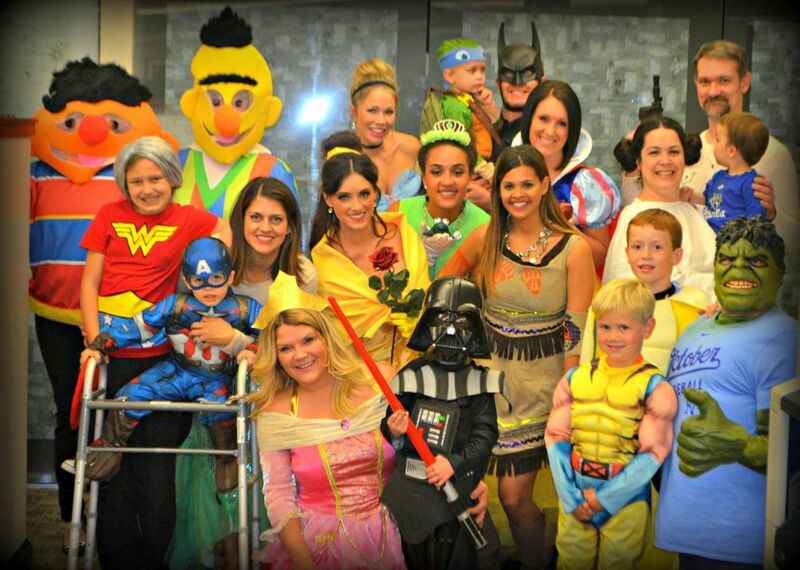 For more ideas on throwing a Halloween party for children and adults, visit the Caliber Homes Blog.